SBS Australia has confirmed today that "an amazingly talented and Eurovision-worthy" Australian singer, who launched the career in a reality television program, will perform as guest of Semi Final 2 at Eurovision 2014. 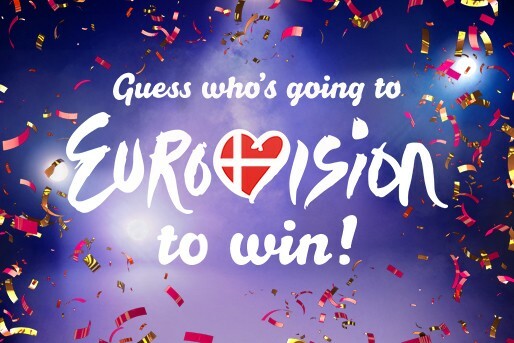 While the name will be officially announced on SBS One on Sunday 30 March at 6pm local time, fans can try to guess the name of the performer winning a trip for 2 to Denmark for Eurovision Song Contest. Entry is open to Australian residents. Earlier, the involvement of Australia in Eurovision 2014 was hinted by NDR's Thomas Schreiber in his interview. It was recently announced that in addition to Australia show will be broadcasted for the first time in New Zealand. • Russian broadcaster reveals more information on the selection and preparations of Tolmachevy sisters. • Mariya Yaremchuk says she wanted to change her Eurovision entry, but was not allowed. It is 800 square meters, 19.5 meters high - and it takes 40 tons of steel and quite a bit of aluminum to build it: The stage of the Eurovision Song Contest these days is being assembled in B & W Halls in Copenhagen. "We have built the structure behind the scenes that consist of boxes of steel and aluminum", says project manager Stig Krøjer from the Royal Theatre, working with DR on the stage. "We have pretty much cleaned whole Europe to find enough amount of steel"
"It's not a question of an ordinary decoration, which you drive into a TV studio. And the Royal Theatre has some special skills when it comes to projects of this size", says Stig Krøjer who as a carpenter and building technician has worked with theater setups for ten years. 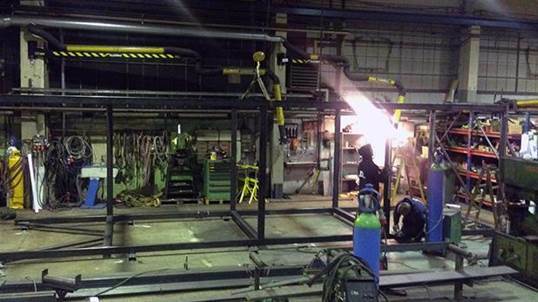 Metal construction for the Eurovision stage are built partly in the theater's production house and by a subcontractor which is quite conveniently located just across the old shipyard at Refshaleøen. "It's challenging to make something that is so large. The builders think it's awfully exciting. It is perhaps only once in a lifetime, you are allowed to be involved in something like that"
Before DR moved in, it was actually the Royal Theatre, which rented space in the two huge halls. "We use them everyday to keep our own scenery in containers, but we have scheduled ourselves out of it, so we did not miss halls", says Stig Krøjer. What happens to the scene after Eurovision? "The scene will be scrapped, because there is no other venue that can accommodate 800 square meters steel base. 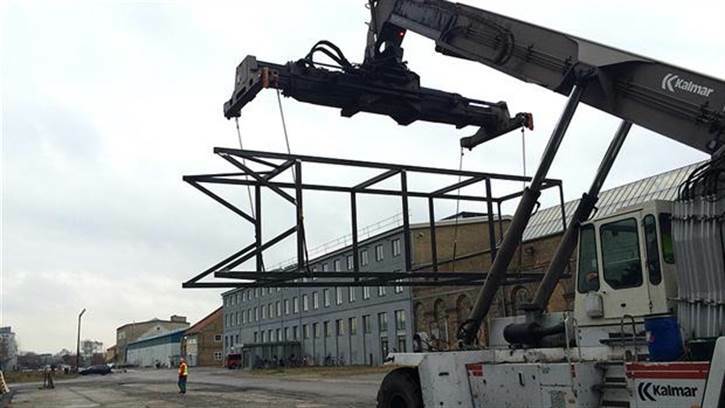 The steel will be recycled", says Stig Krøjer. • Music video for Italian version of Valentina Monetta entry released. • Backing vocal team for Ruth Lorenzo and Tinkara Kovač announced. • Mira Quien Baila special on RTVE on Monday. • Aarzemnieki have baked a cake. • Conchita Wurst has presented her entry live at Dancing Stars. • Some Eurovision 2014 stats: 17 countries are represented by women, 9 by men and 11 by duos or groups. Musical variety is high this year, ranging from intimate piano ballads to dance and from ethnic tunes to dubstep. Only 4 entries will be performed fully not in English language, and 5 will feature both English and native languages. It is our 3rd year in a row interviewing representative of San Marino Valentina Monetta. "Great pleasure for me to be there again... I'm lucky to have opportunities in life and still have the strength and passion for what I love the most - singing", she says. "We've received the proposal to do it again immediately after Malmö... It was not easy to accept it... because although Eurovision song contest is a great opportunity , it is also a bit of an ending in itself but you know, in every television show of this type, if in the end you don't achieve good results in classification , then it does not give much at work ... even if the human and artistic growth has given me so much. I am constantly stimulated by other types of artistic paths and maybe I would have gladly passed the baton to other talented artists of my country. But my team made me understand me that it would be a shame to stop such a precious a route and that whatever the end result will be, it's always a success and a worthy way to evolve. For this I want to thank RTV , Ralph Siegel and all those who contribute to this project". "Get up, do your bags, believe and go, live, otherwise you'll never know how to be happy", she describes the message of the song "Maybe". "It was created from what Ralph Siegel and Mauro Balestri clearly see and hear in me and expect the public of Eurovision likes". She defends her choice of singing in English this time saying: "Although my English is not perfect yet .. I'll try and I want everyone to understand what I have to say beyond the sound, this is important". Asked to compare all her Eurovision entries, Valentina says: "All three colors that I have proposed in these 3 consecutive editions are part of me. I do not have a preference .. last year I definitely got a lot more good feedback of 2012 and perhaps this is the reason why we continue to believe in the same stylistic direction with "Maybe".. Unable at this moment to reveal any details on her upcoming stage presentation she has vividly described her music video: "It has been a great joy for me to shoot the video at the beach with the wind almost in a non-place , where the lyrics take on a universal significance .Also an important reference to the instrument of my passion for music: piano. Having the same video team of Chrysalis great pleasure, Thanks to: Art Director Fabrizio Raggi. Director Michele Massari and Photographer: Fabrizio Pasqualetto"
"Bringing a piece of history, passion and heart, trying to communicate as much as possible a message of hope and support, in this world where now no longer one believes in anything or anyone, much less to themselves and to love"
is Valentina's aim for the contest, and she is looking forward to build on the lessons from the previous years: "So many things that I have learnt, most of all not to have expectations .. going forward with positivity, unconditionally , believing in the great truth". She will be visiting Amsterdam, London and Lisbon with promotion and she distinguishs Hungary and Germany as her personal favourites this year. In between Eurovisions Valentina continued to sing with her musicians in the clubs and in various private occasions, and has spent much of time in the recording studio working on the new album. "In late April or early May , you can listen to my new album Sensibilità, where you will find my world and the world of Ralph mixed together. Many styles and colors, a musical mixture. Many collaborations with musicians and singers of San Marino, a matter of pride for me. Listen to songs that will move from pop to jazz to bossa nova going from funk to R'n'B". "Thank you again and again for your support. ENJOY YOUR LIFE and see you soon"
is Valentina's final message to the readers. You can read complete interview on our Facebook page. • Philip Kirkorov talks about his involvement in Russian entry. • Best coverversion for Cheesecake chosen. • Acoustic version of Romanian entry released. • Greece and Slovenia completed filming of Eurovision postcards. • Official Eurovision CD compilation to be released April 11 in Germany, Switzerland and Austria, Benelux and Scandinavia, including official song of ESC 2014 Rainmaker by Emmelie De Forest. Digital version should come around a week earlier, with other countries to follow. • Pollapönk released making of video. • Conchita Wurst will present her entry live tomorrow in Dancing Stars show aired at 20:15 CET on ORF 1. In the new 6-episode series 'Europa i glimmer' (Europe in glitter) - DR3 go behind Eurovision. Reporter Sisse Sejr-Nørgaard traveled accross Eurovision to explore what Eurovision representatives say about the society and culture of their countries. 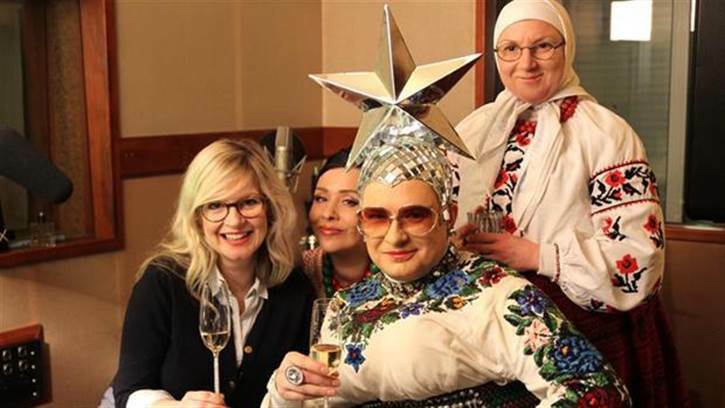 In the first program, Sisse has gone to Ukraine to meet singer, comedian and drag queen Verka Serduckha. How can it be that a country like Ukraine chooses a glitter infested drag queen to the Eurovision? And can it really be true that he if anyone can gather the otherwise divided nation? These are some of the questions she sets out to find the answer in the first program. In the following five programs take Sisse Sejr-Nørgaard will visit Finland (for Lordi), Ireland (for Dustin the Turkey), Portugal, Moldova, and in the final show - Denmark. Program debuts on Thursday 27 March at 20:30 on DR3. Our next guest is Tinkara Kovač from Slovenia who will represent her home country with "Spet / Round and Round". Tinkara says, she has been overwhelmed by the announcement of her as EMA winner: "I made a big “yeah” scream and a second after that I felt all the girls and boys in my team jumped over me. It was an XXXL hug!" "It is so hard for me to describe my music, I leave it to others. I am a vocalist, a flutist, an author… and I hope you can hear a symbiosis of all that in my song. The song has been created by Slovenian well known composer Raay, with the help of Hannah Mancini as my co-lyricist for the English version and Tina Piš for the Slovenian one. Everything started with Raay’s melody, then I added the lyrics and Tina and Hannah helped me complete them"
She believes that it was "her true love for music. And a song as a perfect symbiosis between all us authors" that helped her the most to win at the preselection. "I will perform Slovenian/English combination, of course. English, because I want the audience of ESC to understand the lyrics in my song, which are an essential part of my music an this song, Slovenian because it is my mother tongue language, my roots, the language in which I think and feel, in that case I want the audience to hear the strange, but beautiful language, spoken by only 2 million people"
Tinkara says she plans to record an Italian/English version as well, as she is also working with an Italian creative team. "They really loved the song and were inspired by it, so they have already sent me the lyrics, and I am going soon to record it"
At the EMA preselection she has performed with her band: Marko Stropnik, electric guitar, Mare Verbič, acoustic guitar, Mitja Stropnik, drums, Manca Špik and Nika Zorjan, backing vocals. "All are very good professional musicians who have their own career and bands and albums in the Slovenian music scene, too", she says. Asked about whether there will be any changes brought to the song presentation in Copenhagen, she says: "Some magic and some spice to pimp up all the potential elements of the song. But I can’t tell you more. It has to be a surprise!". Tinkara is currently filming official music video for the song which will be released in less than two weeks and has chosen two beautiful locations for the filming. She has no other aim at the contest besides being herself. Having an experienced team behind her, she is one of few Eurovision entrants, who correctly believes that precontest promotion has no impact of the result. "The most important fact is the live performance on the Eurovision stage. Those three minutes. Just that". From the other contestants this year she highlights Italian entrant Emma: "She really rocks! But I didn't have time to hear more. I will probably wait for the rehearsals in Copenhagen and meet the artists live". "As Bob Dylan would say, Don’t think twice, it’s allright! 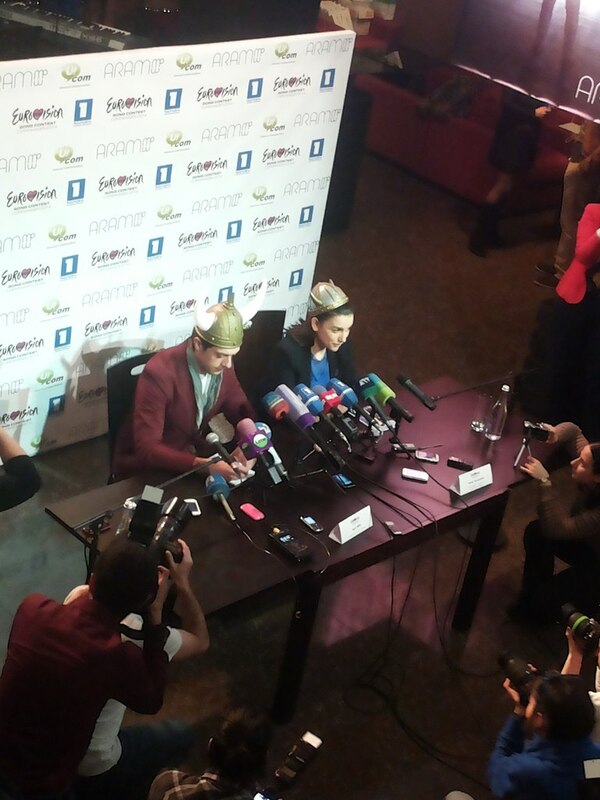 :)"
Russian entry for the Eurovision 2014 presented. Check a full line-up of the contest and vote in ESCKAZ poll. Entry and music video of Austria presented. Conchita Wurst to sing "Rise Like A Phoenix", written by Charly Mason, Joey Patulka, Ali Zuckowski and Julian Maas. Today, all entries for the 2014 Eurovision Song Contest have been officially submitted to the European Broadcasting Union. 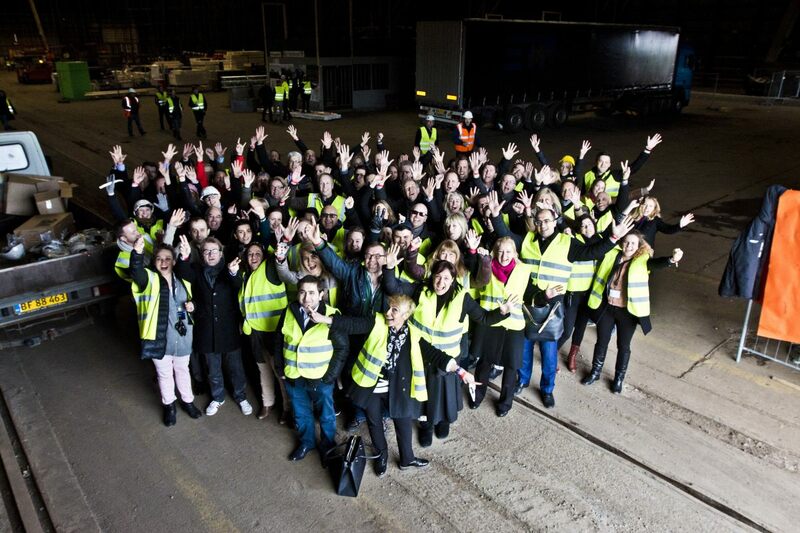 Heads of delegations - the people in charge for Europe’s favourite TV show in all the countries - gathered to Copenhagen today to hear the latest updates from the contest and submit their entries. The last remaining entries of Russia and Austria as a completely new with new lyrics version of Ukraine will be presented within next couple of days. One of the first updates from the meeting taking place at Crowne Plaza Copenhagen Towers were the preliminary dates for the 2015 Eurovision Song Contest, its 60th edition - it’ll be held on the 12th, 14th and 16th of May. Today at 14:15 it was also be draw on which starting position Danish entrant Basim will perform in the final - that is #23. The running order for the Semi-Finals will be revealed by the producers in the weeks to come. The delegations also got a sneak peek of the stage and the so-called postcards - video clips between the entries. According to head of Swedish delegation Christer Bjorkman: "Stage pictures promise much. It's back to big. Both stage and lighting rig are gigantic. It is Moscow big. It will be really cool". We've also learnt today songtitle of Russian entry - Tolmachevy Twins will perform "Shine". Officially it's songwriters are Philipp Kirkorov and Dimitris Kontopoulos on lyrics of Swedes John Ballard, Ralph Charlie (Azerbaijan 2013) and Maltese Gerard James Borg (Malta 2000, 2002, 2004, 2007, 2008). Presentation of the song is expected not earlier than Wednesday. Today took place presentations of official music videos of Ukraine, The Netherlands, Slovenia, France, Switzerland. • 17.30 CET, Azerbaijan, song presentation. • 20.00 - 21.40 CET, Belgium: "Eurosong", Final, Eén, online, Eurovision.tv. Axel Hirsoux is the winner with "Mother". • English version and music video for Albania presented. • 17.00 - 17.45 CET, Russia, Artist announcement, "Vesti v subbotu", Rossiya 1, RTR-Planeta online. As we have reported earlier, Russia will be represented by Tolmachevy Twins. Official announcement was made in broadcast of program "Vesti v subbotu" (scroll to 22.13) for the Far East part of Russia. Song is not yet presented. You can find biography of the performers here. • 19.00 - 22.00, 22.30 - 23.30 CET Moldova, National preselection, Final, online, online 2, Eurovision.tv. Cristina Scarlat will represent Moldova with "Wild Soul". You can watch recording of the show here. • 19.55 - 21.05, 21.45 - 22.45 CET, Norway, Melodi Grand Prix, Final, NRK1, online. Carl Espen will represent Norway with "Silent Storm". The show is available on demand here. • 20.00 - 22.00 CET, Lithuania, Būkime kartu. Vilija Matačiūnaite support concert, LRT, online. • 23.19 - 01.15 CET, Portugal, Festival da Cancao, Final, RTP1, RTP int, online. Suzy with Quero Ser Tua wins. • Music videos for Pollapönk (Iceland), Tanja (Estonia released. • Final version of Belarus entry by Teo released. • Song of Azerbaijan "Start A Fire" performed by Dilara Kazimova will be presented tomorrow at 17.30 CET. It will be written almost traditionally by Stefan Örn, who composed Azerbaijani entries for Eurovision 2010-2012 (and writer of last year's song Dimitris Kontopoulos has all chances to become songwriter of Russian entry this year). From 8 to 11 of March Örn visited Azerbaijani Eurovision training camp located in Kyiv, Ukraine. Two days ago composer has informed that he is working with Björn Engelmann, Johan Kronlund, Johan Glössner and Christoffer Lauridsen on two Eurovision entries. We can now reveal that second of them is Ukraine, and work on it will be finished during the day. "It's gonna be tight", says irreplaceable Engelmann from Cutting Room studio who has mastered 4 Eurovision songs this year - besides Azerbaijan and Ukraine also Sweden and UK. EuroClub is the place where artists, delegations, press, and fans go to meet and have fun after rehearsals and events. Usually, just 10 lucky fans from each country will get the accreditation that gives them access to EuroClub. However, today OGAE International has announced that in cooperation with EBU and DR they have come up with a solution that gives more OGAE fans access to EuroClub. Special EuroClub wristbands will give one day access to EuroClub and are only available for OGAE members with a valid membership card. The number of available wristbands differs from day to day and it’s first come, first serve. A wristband package consists of a wristband and 2 drink coupons for EuroClub and costs 100 DKK (the price of the 2 drinks - the wristband itself is free). It is not possible to get a wristband without buying the 2 drink coupons. This system is made to ensure that the people picking up the wristbands actually make use of them and come to EuroClub. There is maximum one wristband per person so it is not possible to pick up wristbands for your friends. The wristbands can be obtained only at: Tourist Information, Vesterbrogade 4A, 1577 Copenhagen. Time: 14.00-16.00 (or until sold out). When all wristbands for a certain day are given out, this will be posted on EuroClub’s Facebook page. 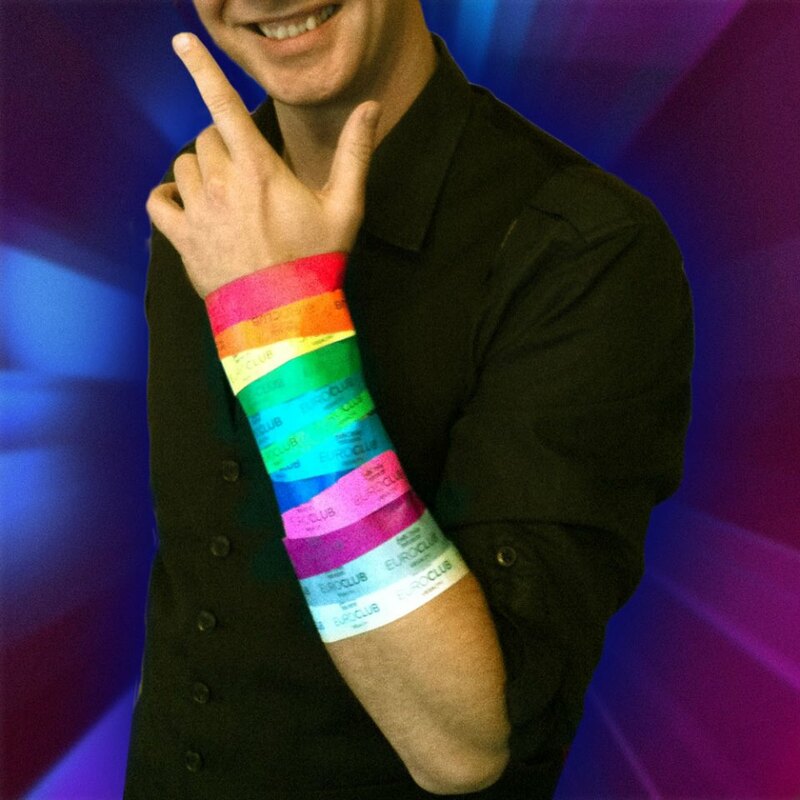 If any left, wristbands can also be obtained from the service team outside EuroClub, when EuroClub opens at night. Additional information on Euroclub here. • 8.00 CET, Georgia, Song presentation, "Our morning", GPB, online. • 19.00 CET, Armenia, Song presentation, ArmPTV, online, Eurovision.tv. • 21.10 CET, San Marino, Song presentation, Verso Copenhgagen, SMTV, online, Eurovision.tv. • Representative of Russia will be announced officially on March 15 in Rossiya 1 Saturday evening news program "Vesti v subbotu", starting at 17.00 CET (or may be earlier if announcement will be included in segment of the program aired for Far East regions). • Aarzemnieki (Latvia), Firelight (Malta), Ruth Lorenzo (Spain), Emma Marrone (Italy) presented official music videos. • International juries for Belgian preselection Eurosong will come from Azerbaijan, Denmark, Ireland, Macedonia, Netherlands, Spain, Belarus. Jury will have has 280 pts to give and each televoting percentage is also equal to 2.8 points. Belarus jury members are: Alyona Lanskaya, Evgeny Oleynik, Anastasiya Tikhanovich, Anastasiya Telesheva, Alexander Mezhenniy. 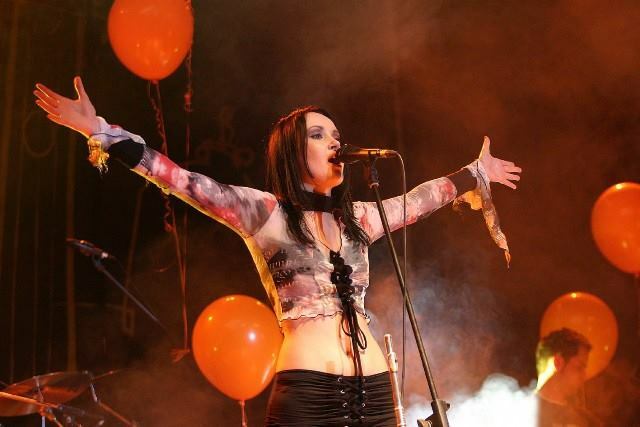 • Teo (Belarus) announces changes in his backing vocals line-up. • 09.00-12.00 CET, The Netherlands, Official song presentation, Radio 2, De Gouden Uren, online. You can listen to the presentation again here. • 19.00-21.45 CET, 22.20-23.20 CET Moldova, National preselection, 2nd semifinal, online, online 2. Anna Gulko, Dana Markitan, Glam Girls and Lana Light are out. • 20.30-22.30 CET, Germany, Unser Song für Dänemark, Final, ARD Das Erste, EinsPlus, online, Eurovision.tv. Elaiza will represent Germany with Is It Right. You can watch show on demand here. 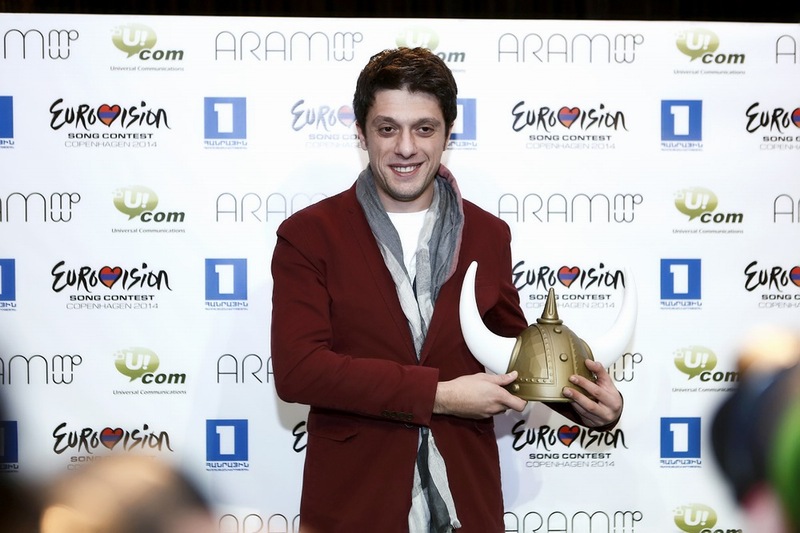 • Georgian entry will be presented tomorrow in "Our Morning" show which runs from 4.30 to 7.30 CET and will later be available on Youtube. • Music video for San Marino entry "Maybe" / "Forse" will be presented tomorrow at 21.10 CET. Single released tonight, listen to the song now. • Entry of Armenia is titled "Not Alone". It is the song that has been premierred by Aram mp3 on his concert on January 31. Official presentation tomorrow. • Teo (Belarus) will start promotional tour from Russia, to perform at Dina Garipova concert in Moscow on March 18. During Eurovision Song Contest 2014, Copenhagen will pay tribute to 10 songs on the Eurovision Fan Mile, stretching from City Hall Square to Kongens Nytorv square. Organizers have invited fans to tell them which songs are their all time favourites. All you have to do is go to Twitter and tweet your favourite Eurovision song and use the hashtag #esctribute by 24 March 2014. 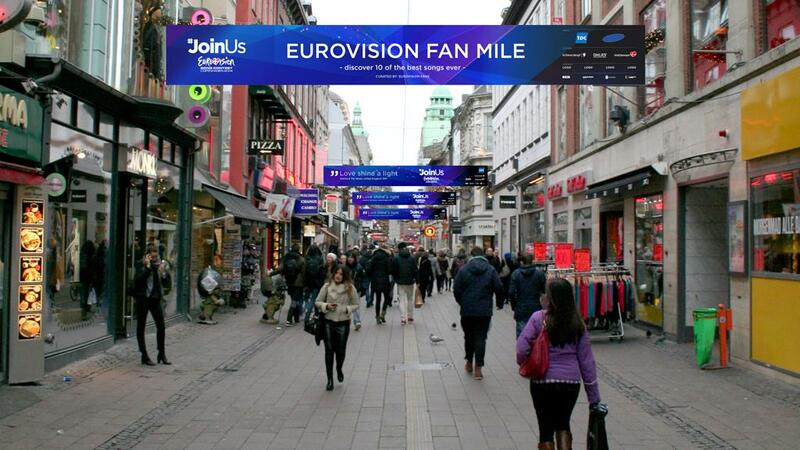 10 songs will be picked from all suggestions, which will be paid tribute to on the Eurovision Fan Mile in Copenhagen. Live from Unser Song für Dänemark rehearsals in Cologne, LANXESS Arena. Телеканал SBS Австралия подтвердил сегодня, что "невероятно талантливый и подходящий для Евровидения" австралийский исполнитель, который начал свою карьеру в реалити-шоу, выступит гостем 2го полуфинала конкурса Евровидение 2014. Хотя его/ее имя будет официально объявлено на канале SBS One в воскресенье 30 марта в 18.00 местного времени, поклонники шоу могут попробовать угадать имя этого исполнителя и выиграть поездку на двоих в Данию на конкурс Евровидение. Приз получить могут, правда, только жители Австралии. Ранее о том, что Австралия будет задействована в Евровидении 2014, намекал и координатор телеканала NDR Томас Шрайбер в своем интервью. На днях также было объявлено, что помимо Австралии в этом году шоу впервые будет транслироваться телевидением Новой Зеландии. Площадью 800 квадратных метров, высотой 19.5 метров - и для нее требуется 40 тонн стали и большое количество алюминия: Сцена конкурса Евровидение в эти дни собирается в залах B&W в Копенгагене. "Мы построили данную структуру, которая состоит из больших кубов из стали и алюминия", говорит руководитель проекта Стиг Крёйер из Королевского театра, который вместе с DR работает над сценой. "Мы практически обыскали всю Европу, чтобы найти достаточное количество стали"
"Это не обычная декорация, которую ввозят в телестудию. Королевский театр обладает специальными умениями работы над проектами такого размера", рассказывает Стиг Крёйер, который работал в качестве плотника и строительного техника над театральными постановками в течении десяти лет. Конструкция из металла для сцены Евровидения частично была создана на производственной базе театра субподрядчиком, который очень удобно расположен практически напротив старой верфи в Рефсхалеюне. "Создание подобной масштабной конструкции - это большой вызов. Строители очень рады шансу поработать над подобным проектом, который выдается раз в жизни"
До того, как DR въехало в зал, именно Королевский театр арендовал пространство двух огромных залов. "Мы использовали их каждый день для того, чтобы хранить декорации в контейнерах, но мы уже давно запланировали выезд оттуда, поэтому мы не страдаем из-за выезда из зала", говорит Стиг Крёйер. Что произойдет со сценой после Евровидения? "Сцена будет разобрана, потому что никакой другой зал не сможет уместить конструкцию со стальной основой в 800 квадратных метров. А сталь будет переработана", говорит Крёйер. • Выпущен видеоклип на итальянскую версию песни Валентины Монетты. • Стал известен состав бэк-вокалистов Рут Лоренц и Тинкары Ковач. • Специальный выпуск программы Mira Quien Baila на RTVE в понедельник. • Кончита Вурст представила свою песню вживую на Dancing Stars. • Немного статистики Евровидения 2014: 17 стран представляют женщины, 9 мужчины, и 11 дуэты или группы. Музыкальное разнообразие в этом году высоко: от фортепианных баллад до танцевальной музыки, от этники до дабстепа. Всего 4 песни будут исполнены полностью не на английском языке, а 5 будут включать в себя как части на английском, так и на родном языке. Уже третий год подряд мы берем интервью у представительницы Сан-Марино Валентины Монетты. "Для меня это большое удовольствие, снова быть на этом месте... Мне в жизни везет тем, что я получаю новые возможности, и у меня еще сохраняются силы и страсть на то, что я люблю делать больше всего - петь", говорит певица. "Мы получили предложение снова выступить на Евровидении сразу же после конкурса в Мальме. Принять его было нелегко... потому что хотя Евровидение это и прекрасная возможность, оно имеет тенденцию зацикливаться на себе, и как обычно во всех телешоу этого типа, если ты в конце-концов не достигаешь хорошего места, то оно тебе ничем в дальнейшем не помогает... даже если я очень выросла с ним как человек и артист. Меня в основном стимулируют другие виды художественных направлений, и возможно я бы с радостью передала право участвовать в Евровидении другим талантам из моей страны... Но моя команда убедила меня в том, что было бы глупо отказываться от такой ценной возможности, и что каким бы ни был результат, это всегда успех и достойный путь развития. За это я хочу поблагодарить RTV, Ральфа Зигеля и всех тех, кто внес вклад в этот проект". "Соберись, упакуй вещь, поверь в себя и иди, живи, ведь иначе ты никогда не узнаешь, как это быть счастливым", описывает певица месседжа своей песни "Maybe". "Она была создана из того, что Ральф Зигель и Мауро Балестри видят и слышат во мне, и чего ожидает публика Евровидения". Свой выбор английской версии Валентина объясняет так: "Хотя мой английский пока и не очень хорош, я пытюсь, и я хочу, чтобы все понимали, о чем я пою, помимо просто музыки, это очень важно". На просьбу сравнить три песни, с которыми Валентина принимала участие на конкурсах, она отвечает: "Все те три песни, которые я исполняю на конкурсе - это часть меня. Мне сложно отдать предпочтение какой-то одной из них... но в прошлом году я несомненно получила намного лучшие отзывы, чем в 2012, и именно это причина того, почему мы поверили и продолжили данную стилистическую направленность с "Maybe".. Валентина пока не смогла рассказать каких-либо деталей о своем предстоящем сценическом номере, но рассказала о том, как проходили съемки видеоклипа на ее песню: "Это было большим удовольствием снимать клип на пляжу, с ветром, практически в пустом месте, где текст песни как будто приобретает вселенскую значимость. Также важной является и отсылка к моему любимому музыкальному инструменту: фортепиано. Мы работали с той же командой, что снимала и Chrysalis, арт-директор Фабрицио Радджи, режиссер Мишель Массари и фотограф Фабрицио Паскуалетто"
"Показать часть истории, страсть и свое сердце, попробовать передать как можно большему количеству зрителей месседж надежды и поддержки, в этом мире, где никто больше ни во что и ни в кого не верит, даже в самих себя и в любовь"
так Валентина характеризует свою цель для конкурса, и она планирует извлечь уроки из своих прошлых выступлений: "Они очень многому меня научили, и прежде всего - это не строить ожиданий... двигаться вперед с позитивностью, безоговорочно, верить в справедливость". В рамках своего промо-тура она посетит Амстердам, Лондон и Лиссабон. В качестве своих личных фаворитов этого года певица назвала представителей Венгрии и Германии. Между своим участием в конкурсах Евровидение Валентина продолжила петь со своими музыкантами в клубах и на различных частных мероприятиях, и провела большую часть времени в звукозаписывающей студии, где работала над своим новым альбомом. "В конце апреля или начале мая вы сможете услышать мой новый альбом Sensibilità, где будут как мои собственные песни, так и песни Ральфа. Множество стилей и оттенков, смесь музыкальных культур. Ряд песен создавался в сотрудничестве с другими музыкантами Сан-Марино, что для меня является предметом для гордости. Песни будут простираться от поп-музыки до джаза и босса-новы, от фанка до R'n'B". "Спасибо вам снова и снова за вашу поддержку. Получайте удовольствие от своей жизни и до скорой встречи!" такое послание Валентина оставила для всех тех, кто будет читать ее интервью. С его полной версией вы можете познакомиться на нашей странице в Facebook. • Филипп Киркоров продолжает рассказывать о своей роли в песне России. • Выбрана лучшая кавер-версия на композицию Cheesecake. • Выпущена акустическая версия песни Румынии. • В Греции и Словении завершены съемки посткардов Евровидения. • Официальный двойной сборник конкурса этого года будет выпущен 11 апреля в Германии, Швейцарии, Австрии, странах Бенелюкса и Скандинавии. На него также войдет официальная песня Евровидения этого года Rainmaker в исполнении Эммели де Форест. Цифровая версия альбома поступит в продажу несколько раньше, а релизы в других странах пройдут несколько позже от этой даты. • Pollapönk выпустили Making Of video. • Кончита Вурст представит свою песню вживую завтра в программе Dancing Stars, которая выйдет в эфир в 23.15 Москвы на ORF 1. В 6-серийной программе 'Europa i glimmer' (Европа и гламур) телеканал DR3 заглянет за кулисы Евровидения. Ведущая Сиссе Сейр-Нёргорд отправилась по различным странам Европы, чтобы понять, что представители на конкурсе Евровидение говорят об обществе и культуре выбравшей их страны. "Обычно, на Евровидение выбирают длинноногих красивых людей, потом болеют за них, и затем быстро забывают. Но иногда что-то идет совсем в противовес ожидаемому. Я попытаюсь встретится с ними и понять"
В первом шоу Сиссе отправилась в Украину, чтобы встретится с комиком, певцом и drag queen Веркой Сердючкой. Как такая страна, как Украина, могла выбрать гламурную drag queen на Евровидение? И действительно ли она сможет, если это вообще кому-то удастся, объединить разделившуюся нацию? На эти вопросы Сиссе попробует получить ответ в первой программе. В следующих 5 программах ведущая побывает в Финляндии (Лорди), Ирландии (Дастин-Индюк), Португалии, Молдове и в финальной программе, в родной Дании. Первый выход программы в эфир состоится в четверг 27 марта в 20:30 по местному времени на телеканале DR3. Наша следующая гостья - это Тинкара Ковач из Словении, которая представит свою страну с песней "Spet / Round and Round". Тинкара говорит, что испытала большой наплыв эмоций в момент объявления победителя словенского отбора EMA: "Я издала победный крик и после этого почувствовала как все парни и девушки из моей команды навалились на меня. Это были XXXL объятия!" "Для меня всегда сложно описывать собственную музыку, поэтому я оставляю это занятие для других. Я пою, играю на флейте,пишу песни... и я надеюсь, что вы услышите этот симбиоз в моей композиции. Песню создал известный в Словении композитор Raay, с помощью Ханны Манчини как моего соавтора по английской версии и Тины Пиш по словенской. Все началось с мелодии Раая, затем я добавила слова и Тина с Ханной помогли мне завершить их"
Она полагает, что одержать победу на отборе помогли ей "ее настоящая любовь к музыке и песня, как идеальный симбиоз между всеми авторами". "Конечно же, я буду исполнять словенско-английскую версию. Английскую потому что я хочу, чтобы широкая аудитория Евровидения поняла текст моей песни, который является важной составной частью моей песни, и словенском - потому что это язык моих родителей, мои корни, язык на котором я думаю и чувствую, в этом случае я хочу, чтобы зрители услышали этот странный, но красивый язык, на котором говорят всего 2 миллиона людей в мире"
Тинкара говорит, что также планирует записать итальянско-английскую версию песни, поскольку она работает с итальянской креативной командой. "Им очень понравилась моя песня, поэтому они уже прислали мне итальянский текст, и скоро я его запишу"
На отборе EMA вместе с Тинкарой выступала ее группа в составе: Марко Стропник, электро-гитара, Маре Вербич, акустическая гитара, Митя Стропник, ударные, Манца Шпик и Ника Зорьян, бэк-вокалистки. "Все они - профессиональные музыканты, у которых есть своя карьера, группы и альбомы на словенской музыкальной сцене", рассказывает она. На вопрос, будут ли в песню внесены какие-либо изменения для выступления в Копенгагене, Тинкара отвечает: "Немного волшебства и немного специй, для того, чтобы сдобрить все элементы песни. Но я пока не могу раскрыть подробностей. Пусть это будет сюрпризом!". В настоящее время Тинкара также занята съемками официального клипа на свою песню, который будет выпущен менее чем через две недели. Для съемок были выбраны две красивые местности в Словении. Никакой другой задачи, кроме как "быть самой собой" Тинкара на конкурсе не ставит. Ее опытная команда подсказала ей, что предконкурсный промоушен никак не влияет на результат. "Наиболее важным является само выступление на сцене Евровидения. Эти три минуты. И только они". Из других участников конкурса она выделяет представительницу Италии Эмму: "Она очень крута! Но больше я пока не успела никого послушать. Наверное, я дождусь репетиций в Копенгагене и познакомлюсь с артистами там вживую". "Как говорил Боб Дилан: Не думайте дважды, сойдет и так! :)"
С полным текстом интервью (на английском языке) вы можете познакомиться на нашей странице в Facebook. Представлена Российская песня. Познакомьтесь с полным списком участников конкурса и проголосуйте в опросе ESCKAZ. Представлены песня и видеоклип Австрии. Кончита Вурст исполнит "Rise Like A Phoenix", которую написали Чарли Мэйсон, Джой Патулка, Али Жуковски и Джулиан Маас. Сегодня, все песни принимающие участие в Евровидении 2014 были официально заявлены в Европейский Вещательный союз. Главы делегаций - люди, отвечающие за местную организацию участия в Евровидении во всех участвующих странах, собрались в Копенгагене, чтобы узнать новую информацию о подготовке к конкурсу и заявить участвующие композиции. Последние несколько песен: Россия, Австрия и полностью новая версия с новым текстом Украины, будут представлены публике в ближайшие пару дней. Первой информацией, поступившей с заседания, проходящего в Crowne Plaza Copenhagen Towers стало то, что предварительно проведение конкурса Евровидение 2015 было запланировано на 12-14-16 мая 2015. Также сегодня в 17.15 Москвы прошла жеребьевка номера выступления в финале конкурса представителя Дании Басима - он получил номер 23. Полный порядок выступлений будет определен продюсерами шоу и оглашен в ближайшие недели. Делегациям также были продемонстрированы эскизы сцены и т.н. посткарды. "Показанные нам рисунки сцены очень многообещающие. Это снова возвращение к большим размерам. Сцена и световая установка просто гигантские. Такие же большие, как и в Москве. Будет круто. ", рассказал глава делегации Швеции Кристер Бьоркман. Стало также известно название песни России - Сестры Толмачевы исполнят "Shine". Официальными ее композиторами заявлены Филипп Киркоров, грек Димитрис Контопулос, авторы текста - шведы Джон Баллард и Ральф Чарли (Азербайджан 2013) и мальтиец Джерард Джеймс Борг (Мальта 2000, 2002, 2004, 2007, 2008). Презентация песни ожидается не ранее среды. Сегодня также прошли презентации официальных видеоклипов представителей Украины, Нидерландов, Словении, Франции, Швейцарии. • 20.30 Москвы , Азербайджан, презентация песни. • 23.00 - 00.40 Москвы, Бельгия: "Eurosong", Финал, Eén, онлайн, Eurovision.tv. Победитель: Аксел Ирсу с песней "Mother". • Представлена английская версия и видеоклип на песню Албании. • 20.00 - 20.45 Москвы, Россия, Объявление представителя, "Вести в субботу", Россия 1, РТР-Планета онлайн. Как мы и сообщали ранее, Россию представят Сестры Толмачевы. Официальное объявление прозвучало в эфире программы "Вести в субботу" (перемотать на 22:13) на Дальнем Востоке страны. Песня пока не представлена. С биографией исполнительниц вы можете ознакомиться здесь. • 22.00 - 01.00, 01.30 - 02.30 Москвы Молдова, Нациоанальный отбор, Финал, онлайн, онлайн 2, Eurovision.tv. Кристина Скарлат представит Молдову с песней "Wild Soul". • 22.55 - 00.05, 00.45 - 01.45 Москвы, Норвегия, Melodi Grand Prix, Финал, NRK1, онлайн. Карл Эспен представит Норвегию с "Silent Storm". • 23.00 - 01.00 Москвы, Литва, Būkime kartu. Концерт в поддержку Вилии Матачюнайте, LRT, онлайн. • 02.19 - 04.15 Москвы, , Португалия, Festival da Cancao, Финал, RTP1, RTP int, онлайн. Побеждает Suzy с Quero Ser Tua. • Выпущены видеоклипы на песни Pollapönk (Исландия), Tanja (Эстония. • Выпущена финальная версия песни Тео Беларусь. • Песня Азербайджана "Start A Fire" в исполнении Диляры Кязимовой будет презентована в воскресенье 20.30 Москвы. Ее автором станет, почти по традиции, Стефан Ёрн, писавший песни Азербайджана в 2010-2012 годах(а композитор прошлогодней песни Димитрис Контопулос имеет все возможности стать в этом году автором песни России). С 8го по 11е марта Ёрн побывал в лагере подготовки представительницы Азербайджана Диляры Кязимовой в Киеве. Два дня назад композитор сообщил, что работает с Бьорном Энгельманом, Йоханом Кронлундом и Йоханом Глюсснером над двумя песнями для Евровидения. Теперь мы можем вам сообщить, что второй оказалась... Украина. Известно, что работа над Украинской песней будет завершена сегодня. "Едва укладываемся в срок", отметил незаменимый Энгельман из Cutting Room, который в этом году сделал мастеринг 4м песням Евровидения - Азербайджану, Украине, Великобритании и Швеции. Евроклуб - это место, где вечерами во время недели Евровидения собираются артисты, члены делегаций, представители прессы и поклонники конкурса чтобы отдохнуть и повеселиться после дневной программы. Обычно, доступ к нему имеют только 10 фанатов-счастливчиков от каждой страны, которым удалось получить фан-аккредитацию, дающую права доступа в Евроклуб. Однако, сегодня международная система фан-клубов ОГАЕ объявила о том, что было достигнуто соглашение с ЕВС и телеканалом DR для того, чтобы большее количество членов ОГАЕ смогло попасть в Евроклуб. Специальные браслеты будут действовать как билеты в Евроклуб на одни сутки. Браслет смогут получить только официальные члены ОГАЕ с действующей членской картой. Количество доступных браслетов будет варьироваться день ото дня и выдаваться они будут в порядке живой очереди. Вместе с браслетами, будут продаваться и 2 купона на напитки в Евроклубе. Стоимость пакета составит 100 крон (это стоимость 2х напитков, сам браслет прилагается бесплатно, но получить его не приобретая купоны на напитки невозможно). Эта система введена для того, чтобы человек получивший браслет использовал его и пришел в Евроклуб. Браслеты будут выдаваться в количестве 1 браслет на человека, потому на своих друзей получить их будет невозможным. Браслеты можно приобрести только в туристическом центре по адресу Vesterbrogade 4A, 1577 Copenhagen. Время: 14.00-16.00 (или до их окончания). Когда все браслеты на текущие сутки закончатся, объявление об этом будет размещено на официальной странице Евроклуба в Facebook. Если браслеты все еще будут оставаться, то их можно будет получить на входе в Евроклуб при открытии его ночью. Дополнительная информация о Евроклубе - здесь. • 11.00 Москвы, Грузия, Презентация песни, "Our morning", GPB, онлайн. • 22.00 Москвы, Армения, Презентация песни, ArmPTV, онлайн, Eurovision.tv. • 00.10 CET, Сан-Марино, Презентация песни, Verso Copenhgagen, SMTV, онлайн, Eurovision.tv. • Представитель России будет официально объявлен 15го марта в программе телеканала "Россия 1" "Вести в субботу с Сергеем Брилевым", которая выходит в эфире в 20.00. • Aarzemnieki (Латвия), Firelight (Мальта) и Рут Лоренцо (Испания), Emma Marrone (Италия) представили официальные клипы. • Международные жюри Бельгийского отбора Eurosong будут из Азербайджана, Дании, Ирландии, Македонии, Нидерландов, Испании, Беларуси. Жюри распределит свои 280 баллов, а 1% в голосовании зрителей будет приравнен к 2.8 балла. В состав жюри Беларуси вошли: Алена Ланская, Евгений Олейник, Анастасия Тиханович, Анастасия Телешева и Александр Меженный. • Teo (Беларусь) объявил об изменениях в составе своих бэк-вокалистов для конкурса. • 12.00-15.00 Москвы, Нидерланды, Официальная презентация песни, Radio 2, De Gouden Uren, онлайн. Запись презентации можно снова услышать здесь. • 22.00-00.45 Москвы, 01.20-02.20 Москвы Молдова, Национальный отбор, 2 полуфинал, онлайн, онлайн 2. Anna Gulko, Dana Markitan, Glam Girls и Lana Light выбывают. • 23.30-01.30 Москвы, Германия, Unser Song für Dänemark, Финал, ARD Das Erste, EinsPlus, онлайн, Eurovision.tv. Elaiza представят Германию с Is It Right? Запись шоу вы можете увидеть здесь. • Песня Грузии будет презентована завтра в программе "Наше утро", которое выходит в эфир с 7.30 до 10.30 Москвы, и позднее будет размещена на Youtube. • Видеоклип на песню Сан-Марино "Maybe" / "Forse" будет презентован завтра ночью в 00.10 Москвы. Сегодня ночью выходит сингл на песню, ее уже можно услышать. • Песня Армении носит название "Not Alone". Это композиция, которая была представлена Арамом мп3 впервые на его сольном концерте 31 января. Официальная ее презентация пройдет завтра. • Teo (Беларусь) начнет промотур с России, выступив в качестве гостя на концерте Дины Гариповой в Москве 18го марта. Во время конкурса Евровидение 2014, Копенгаген отдаст дань 10 песням Евровидения на своей Фан-миле, которая будет проложена от площади городской ратуши до площади Kongens Nytorv. Организаторы пригласили поклонников конкурса сообщить им, какие песни являются их фаворитами за все годы Евровидения. Все, что вам нужно сделать, это отправить в твиттере вашу любимую песню с хэштегом #esctribute до 24 марта. Из всех предложений будут выбраны 10 песен, которые каким-то образом будут задействованы на Фан-Миле. Live с репетиций Unser Song für Dänemark в Кёльне, LANXESS Arena.